Every detail of the hotel's design has been meticulously chosen to valorise luminosity and create a calm universe in the middle of all the Parisian hustle and bustle. The hotel features 39 spacious and quiet rooms in an elegant contemporary style with black and white lines and Fornasetti earthenware in the bathrooms. Some rooms open onto the central patio and offer a rare and priviliged quiet sleep in the City of Lights, even with open windows. Everything from a classic room, a connecting room for families or groups of friends, a duplex - which is much more spacious than the previous two - or even a superior room with your own personal jacuzzi: essentially, there’s a room for every dream experience you can imagine. With a cosy atmosphere, saturated with warm tones, our Double and Twin rooms are deliciously romantic. The black and white lines of the setting perfectly express the famous French chic interior design. These rooms can include a double bed or twin beds and are equipped with a flatscreen television, its own minibar and a smartphone per room. 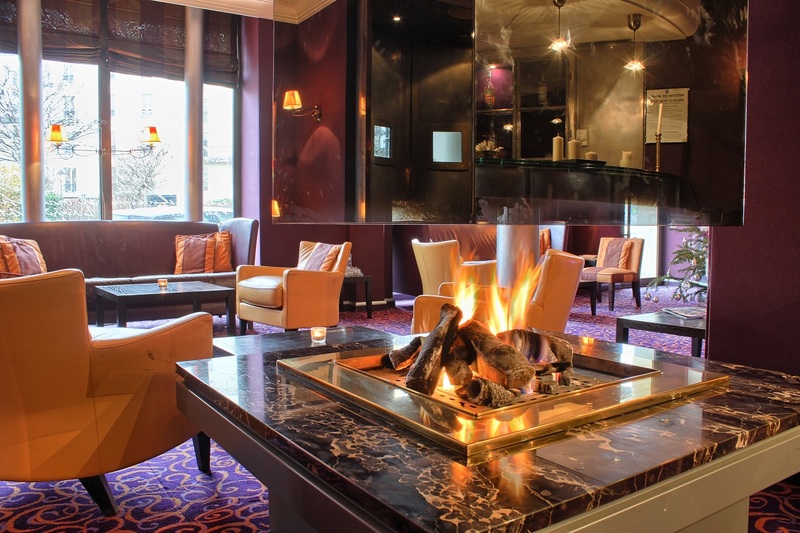 Enjoy a calm night in the heart of busy Paris. Duplex for up to 3 people with two floors. Classic elegance, spiral glass staircase, black and white setting, our Duplex rooms are the perfect expression of the Villa Lutèce Port Royal. Their comfortable armchairs and contemporary fabrics will give you the sensation of a large, inviting house. These rooms can include 1 double bed and 1 single bed, or 3 single beds, and you will also find an espresso machine and a smartphone. What could be more refined than a junior suite with a contemporary decoration in the heart of the elegant 13th district? Our junior suites are the ultimate expression of Parisian chic, they give a gentle impression of space, light and tranquillity. Each offering you an espresso machine and a smartphone, the junior suites include a double bed, and their open bathroom features a large hot tub, perfect for a moment of pure relaxation after your day. 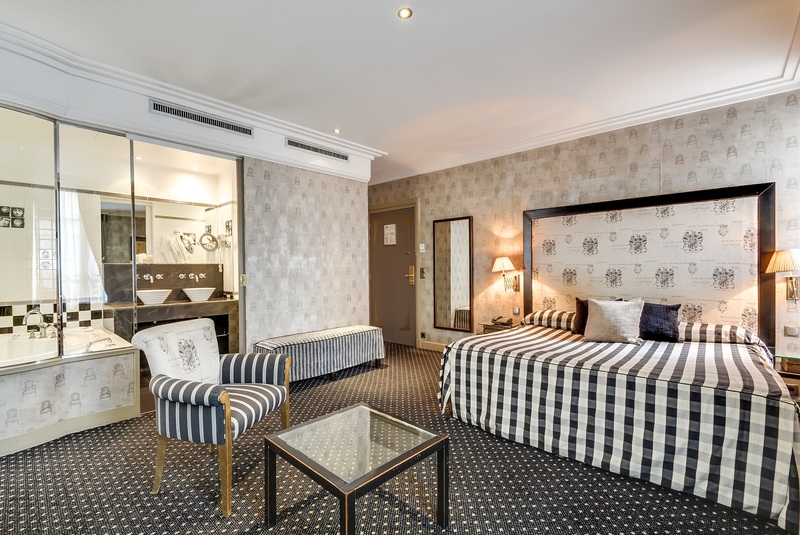 Ideal for families or groups of friends, these air conditioned connecting rooms both include free Wi-Fi connection, satellite television, a minibar and a smartphone. Depending on how you want to arrange your trip, this room can be composed of 2 double beds.